High performance that only The Original Green Oil can deliver. The demands the road, racing or just hard driving and camshafts to rings and pistons. Without the right protection, your car will lack efficiency, wear down faster, and underperform. The result is reduced internal friction, strong anti-wear, and increased horsepower. 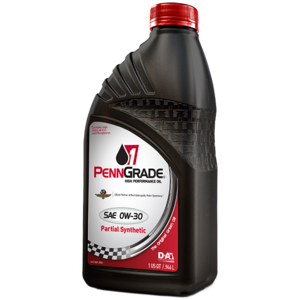 PennGrade1’s power comes from its base: 100 percent pure Pennsylvania-grade crude oil, long recognized as one of the best worldwide sources of high quality lubricant base stocks. Known for its green color and exceptional ability to cling to metal, this stock is tenacious. It minimizes wear when stressed, even during dry or cold starts. It has a long history and track record of proven quality, still refined in Bradford Oil Field in Bradford, Pennsylvania, where it was first extracted in 1859. The refinery is the oldest continuously operating lube oil refinery in the United States. Use the oil the pros use. Shop PennGrade1 today!